Perfect hostess gift ideas are ones that reflect the interests of your hostess and make her smile. A bottle of wine, flowers, gourmet or coffee are common hostess gifts, but they are not noteworthy. We’ve rounded some perfect DIY hostess gift ideas and tutorials, which are thoughtful and budget friendly. 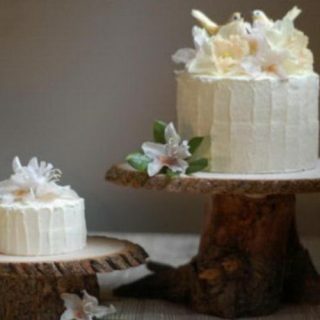 With a little effort, you can surely create a perfect gift your hostess will actually use and remember for a long time! 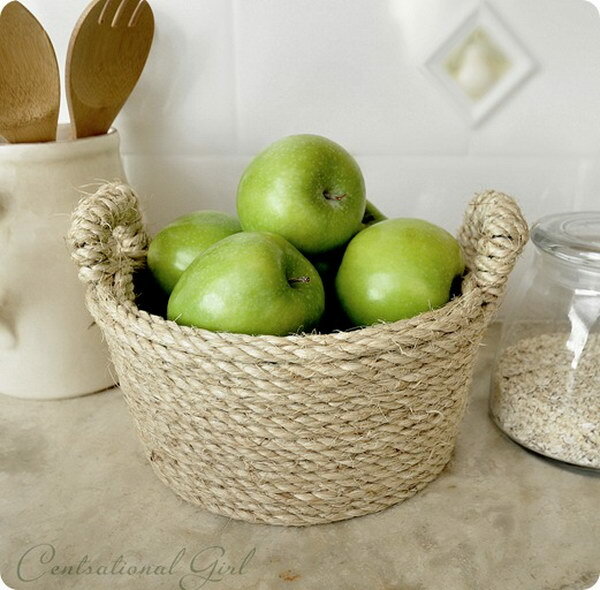 DIY Sisal Rope Bowl. This beautiful rope wrapped bowl can be made in less than an hour and makes a perfect gift for your hostess. Tutorial via centsational girl. DIY Chalkboard Serving Platter. Paint a platter with chalkboard paint and write a cute holiday message to give as a gift to a hostess friend. Find out the tutorial via wit and whistle. DIY Monogram Napkins. 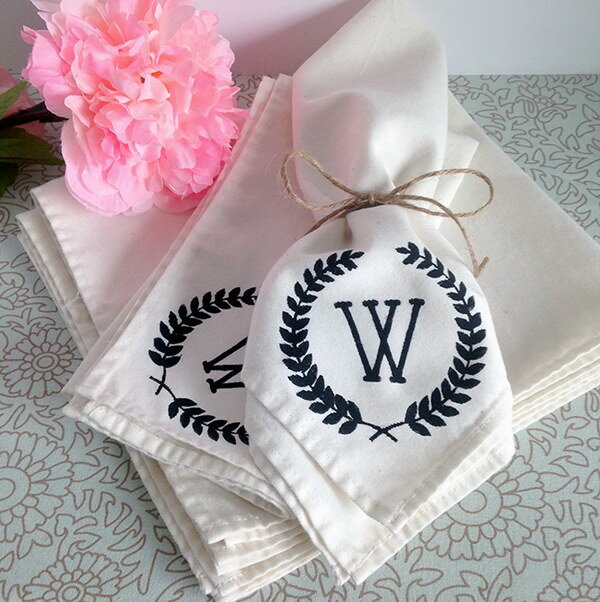 This monogram napkin is so much easier to make and also makes a really sweet handmade gift idea. See how to make it via blog.silhouetteamerica. DIY Photo Holder. Make this holiday gift for your hostess with the tutorial via shanty 2 chic. 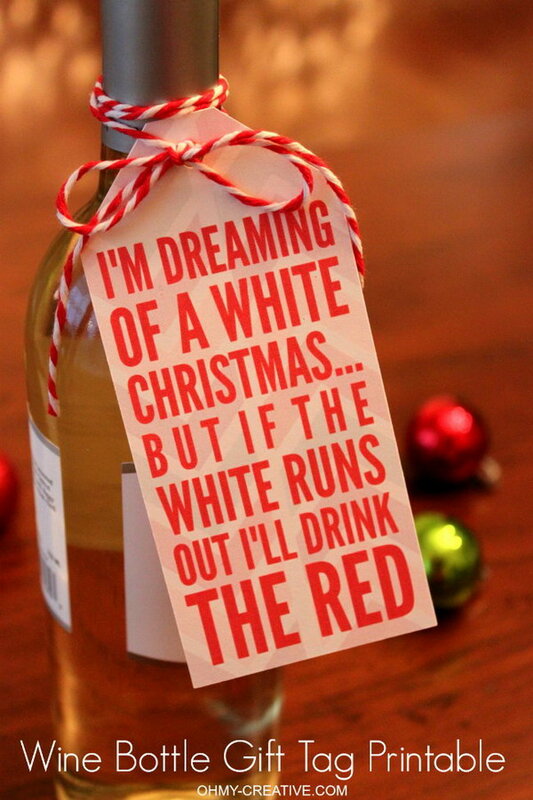 Christmas Wine Bottle Gift. A bottle of wine with a free printable gift tag makes a really simple and sweet gift idea and sure to bring a smile to the hostess! Free printable and details via Oh My Creative. DIY Wooden Cutting Board. 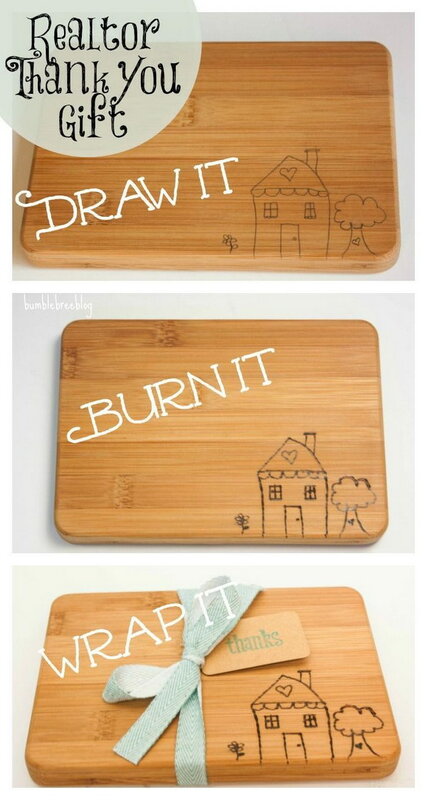 The wood etching cutting board turned out beautifully and makes great gifts for your hostess. 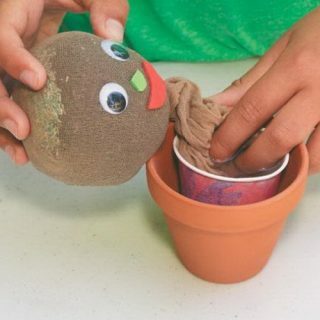 Tutorial via All Things With Purpose. 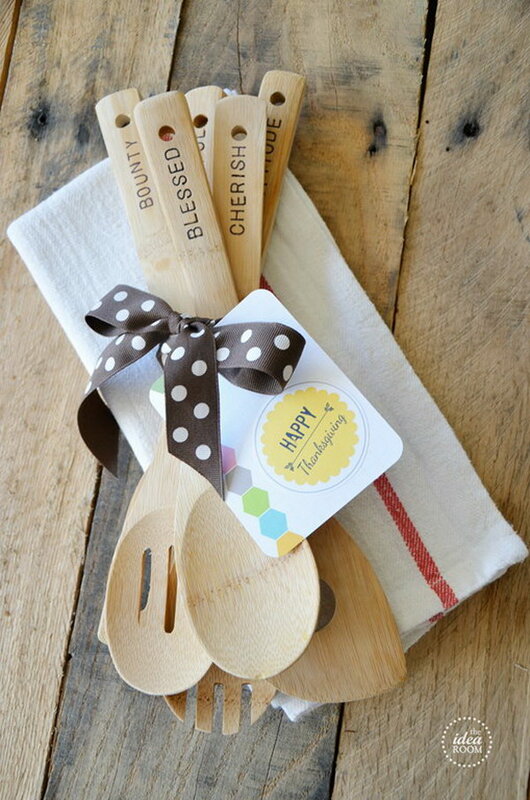 Hand Stamped Wooden Utensils. What a great Thanksgiving hostess gift or a Christmas gift idea! Tutorial via The Idea Room. Wine Hostess Gifts. 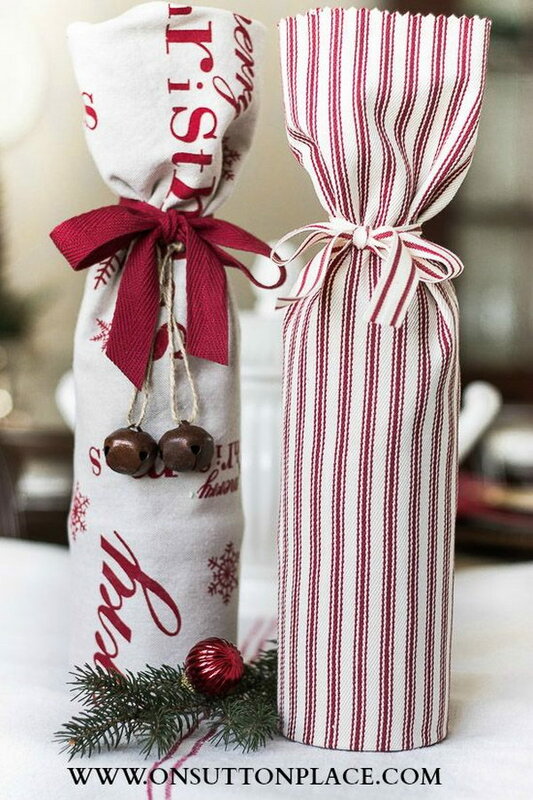 Simple wrap a wine bottle in a festive tea towel! A simple but sweet hostess holiday gift. source. 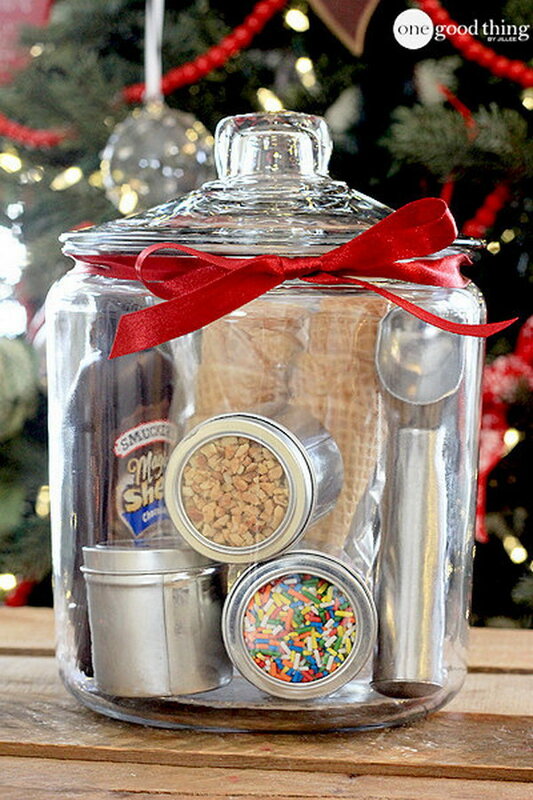 Ice Cream Sundae Kit. Anyone will be more than happy to receive this ice cream sundae kit! 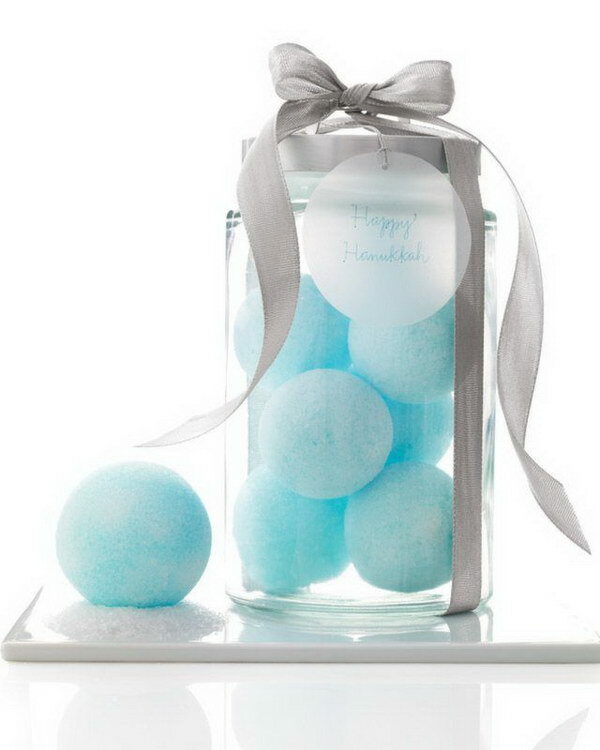 Simple and sweet hostess gift idea! See more via One Good Thing by Jillee. 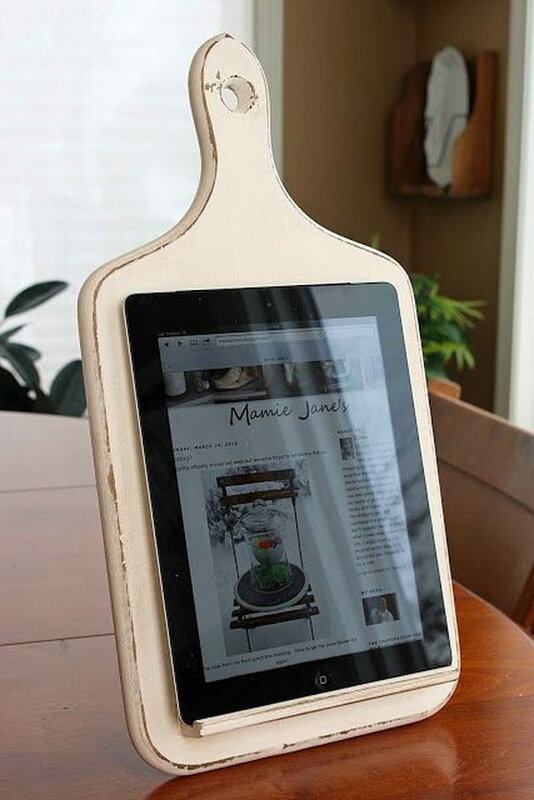 Kitchen Tablet Holder. 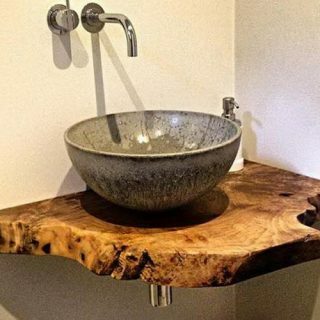 This was made from an old wooden kitchen board. So cool for the kitchen while trying to follow recipes online. A great gift for your mom or other hostess friends. 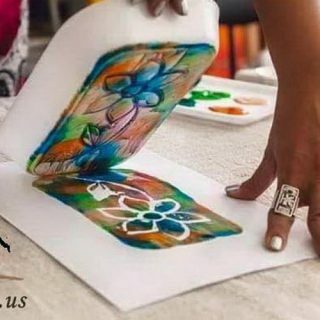 Tutorial via Mamie Janes.Blogspot. DIY Hostess Apron. A DIY apron with a pocket for spoons! What a cute gift idea for hostess in your life! See how to make it via Style Me Pretty. 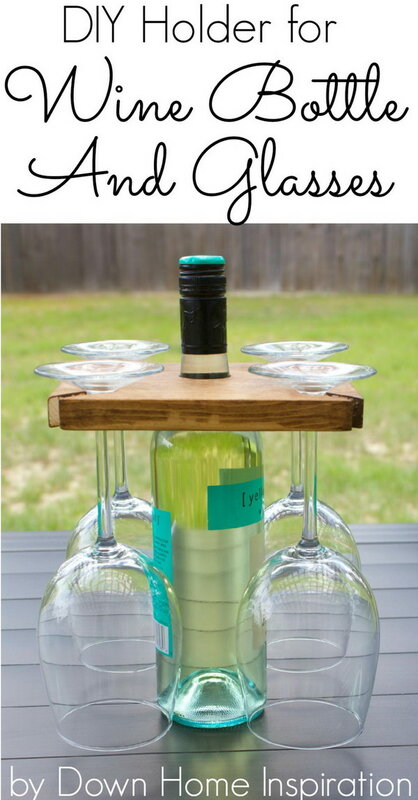 DIY Holder for a Wine Bottle and Glasses. This super simple DIY wine carrier really makes great holiday gift for hostess or wine lovers in your life! 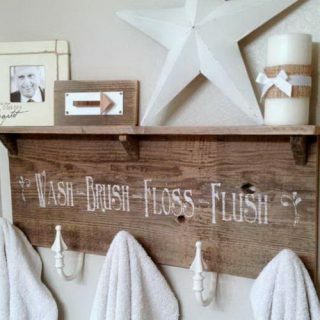 Tutorial via Down Home Inspiration. 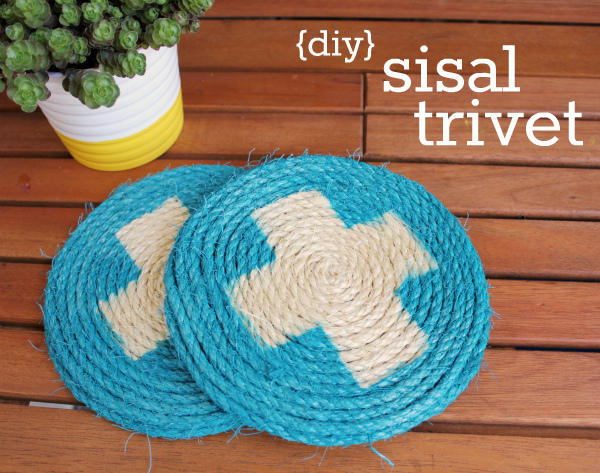 DIY Sisal Coasters. Make trivets or coasters from sisal and add a trendy pattern like a swiss cross for a personalized hostress gift. See the tutorial via Hi Sugar Plums Blog. Crochet Mug Cozies. 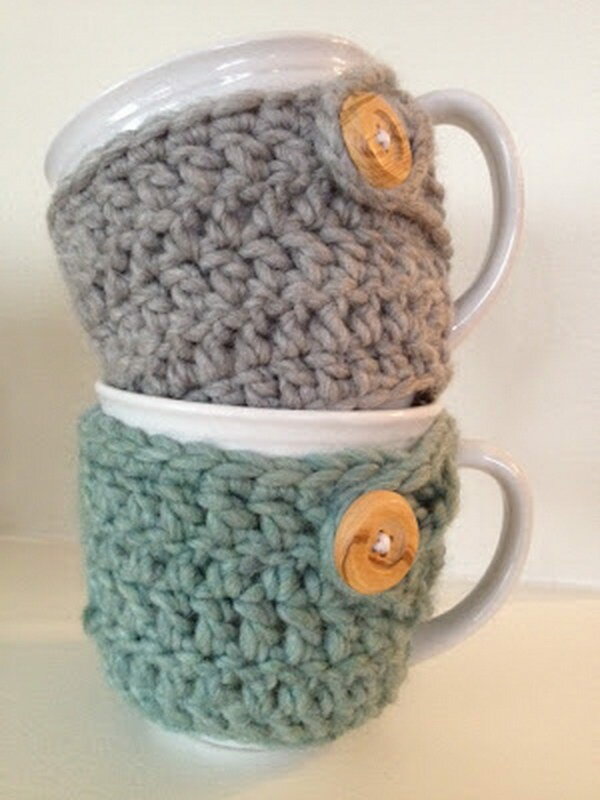 If you are a crochet lover, you can try this cute and warm mug cozy for a hostess gift. 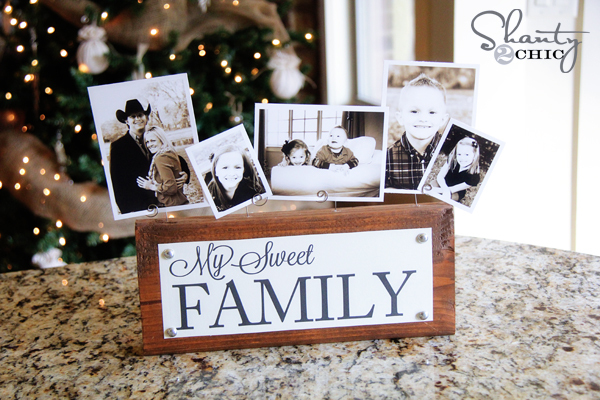 Super easy, inexpensive and warm gift idea. See the details via Sewing Bare Foot. Homemade Bath Snowballs. Homemade beauty products are always popular gift ideas! 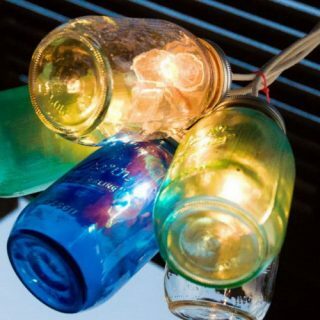 So cute, creative and also super easy to make at home! 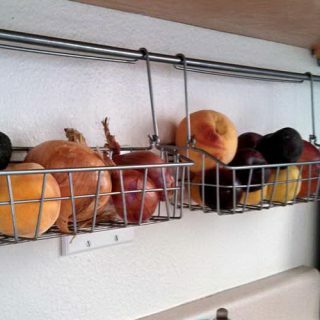 Tutorial via Martha Stewart. Count Your Blessings Board. Tutorial via Lil Luna. 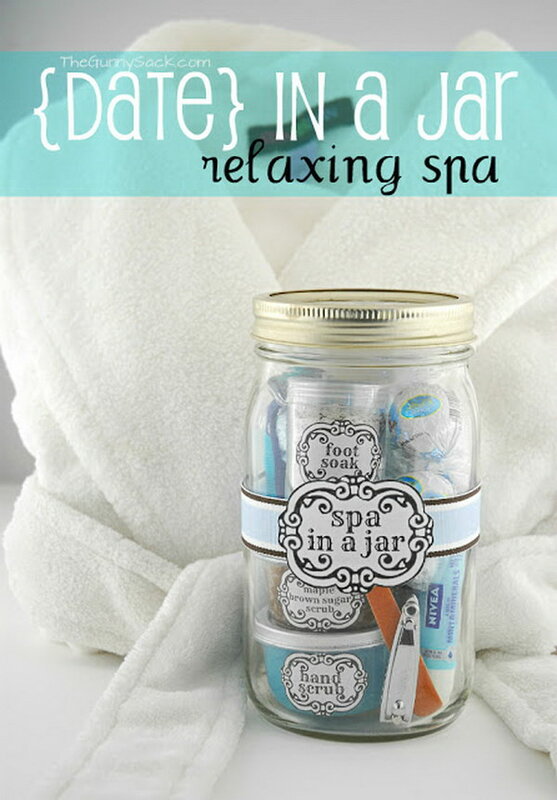 Spa In a Jar Gift. Tutorial via The Gunny Sack. 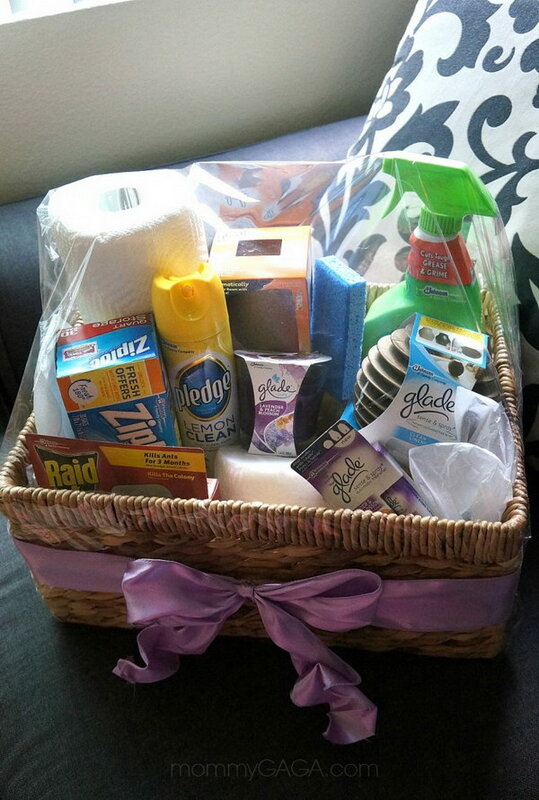 DIY Home Essentials Gift Basket. 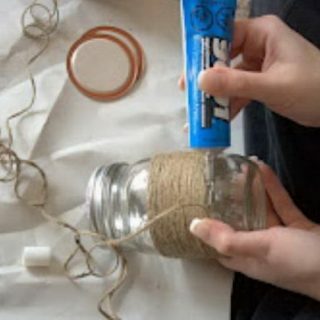 Want an easy DIY gift for hostess? Create a gift basket with all kinds of goodies for the home! Such an easy gift idea! See the details via Mommy Gaga. Crochet Fish Scrubbie Washcloths. Free pattern for crochet fish scrubbie washcloths. 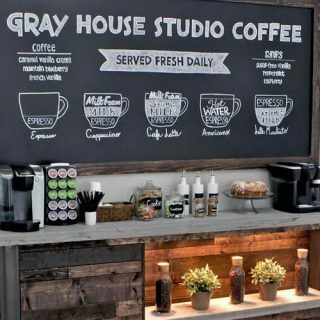 A great housewarming or hostess gift idea! See the tutorial cia 1 dog woof. Washi Tape Mini Wood Pallet DIY Coasters. Make stylish coasters with washi tape and mini wood pallets. 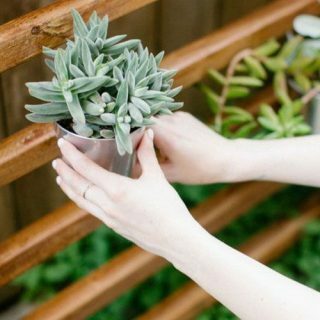 These can be used as creative housewarming or hostess gifts. See how to make it via Washi Tape Crafts.